Last year was Axel Johnson International’s most intensive ever in terms of acquisitions. The group was strengthened with niche technology companies in all business areas, and on several new markets. All in all, new acquisitions added EUR 65 m (SEK 600 m) to total net sales of just over EUR 695 m (SEK 6,604 m). The newly acquired companies are experts in their field and leaders in their local markets. They are entrepreneurially driven enterprises that share our values and recognise the benefits of belonging to a family-owned corporate group with growth ambitions. We are proud of them all. With Traction Levage in France and Cables y Eslingas in Spain we grew our lifting business in important geographies. We are especially pleased to welcome AQS Liquid Transfer of South Africa, as it represents our first investment outside of Europe. Despite many market challenges, our companies made fresh progress during the year.Our growth strategy is based on a combination of organic growth and acquisitions. Despite many market challenges, our existing companies made fresh progress during the year. Axel Johnson International has the financial muscle, the industrial know-how and the proactivity required to support aspiring companies in their constant business development. Our companies strengthen each other and have the courage to face dramatic changes with confidence and optimism. For the far-sighted, hard times are only ever a phase, not a conclusion. 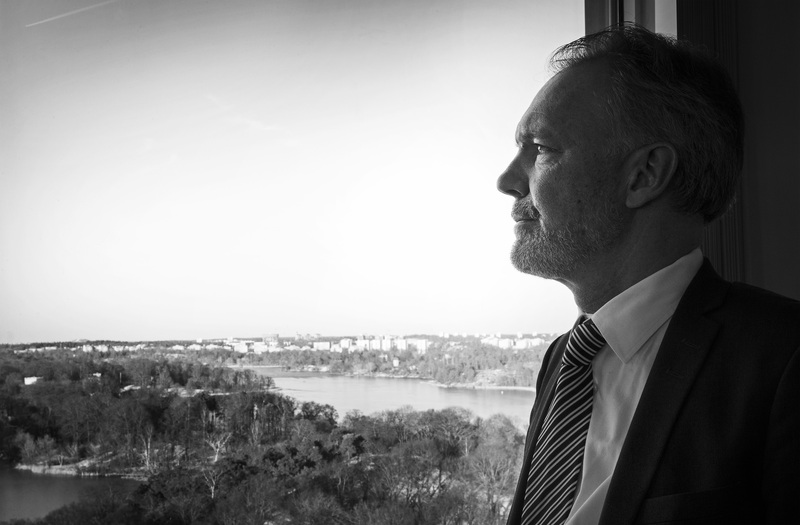 Martin Malmvik, previously CEO of the AxLoad business area, became CEO and President of Axel Johnson International on 1 December 2016. Many of our companies have grown with the challenges. AxFlow in Norway saw sales of pumps for the oil and gas market decline and instead found a new customer segment in municipal water treatment plants. Faced with a slowdown in the mining industry, Gisab broke new ground with a record-breaking tunnel construction project in Norway. The year also brought success in the transport sector, where several of the group’s companies managed to take strategically important shares in a dramatically growing market. The acquisition of Progress Ingeniørfirma of Norway made Trans-Auto a comprehensive Nordic player. Abkati’s goal-oriented work resulted in a very successful year. And for load restraint specialist Allsafe Jungfalk, 2016 proved to be the most successful ever. Our companies operate in a wide range of industries, but all face similar challenges. During the year, we therefore increased our scope for sharing knowledge and experience on common issues, particularly focused on digitalisation. Competence provision is an important subject when so much of our operating success relies on our employees’ experience and know-how about applications, products, and solutions. We therefore actively support our companies with the competence they need and in the development of new talent. For a group that welcomes change, every ending is a new beginning. Our people make us what we are. Creating a sense of community, motivating our employees, fostering our entrepreneurial spirit and working closely alongside our customers and suppliers – these are all things that are close to our heart. With concrete measures like moving forward in sustainability and publishing a new code of conduct, we become even better to work with. To sum up, 2016 marked a positive continuation of our owners’ vision from 1873: to own, manage and develop companies that are a positive force for change in the societies where they operate. With many exciting companies joining the group, our sights are set on the well-being of future generations. With even more driven individuals in-house, we will continue also to make things happen in 2017. For a group that welcomes change, every ending is a new beginning.